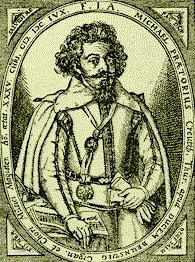 From Megalynodia Sionia, 1611. 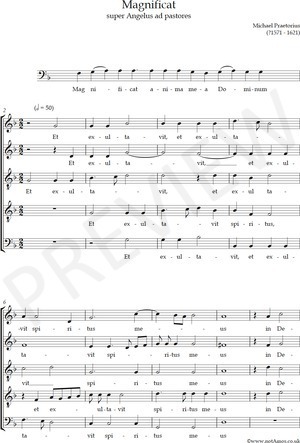 Praetorius' setting of the Magnificat for use at Christmas comprises the text of the Magnificat set to the slightly adapted music of Lassus' "Angelus ad pastores ait" (see NotAmos edition of that motet; the two pieces make an excellent pairing). The polyphonic verses of the Magnificat are interlarded with homophonic settings of German or Latin Christmas texts.